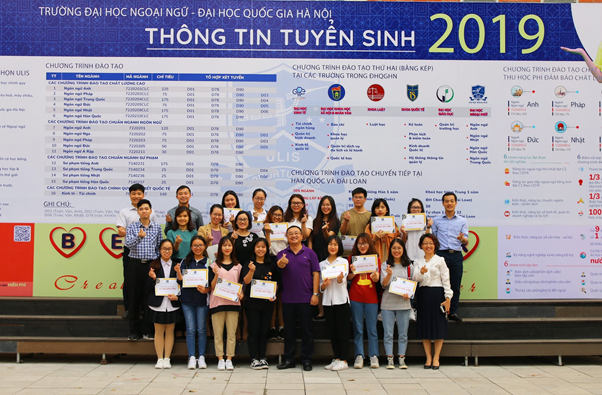 On March 22nd, 2019, ULIS – VNU organized the awarding ceremony to present the ULIS SHINE scholarships for 15 students of the QH.2018 cohort who had finished with outstanding achievements in the first semester of the 2018-2019 academic year. Each scholarship is worth 10 million dongs. 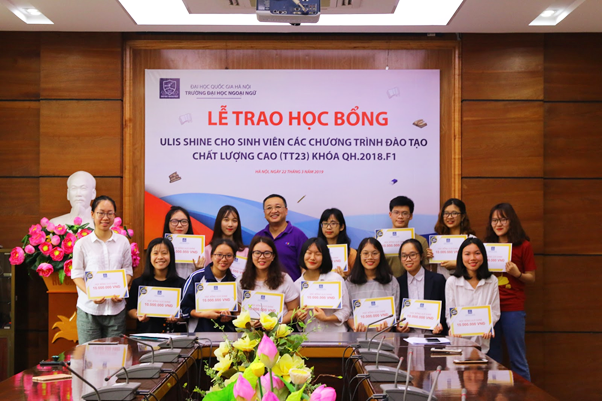 The ceremony was attended by President Do Tuan Minh, leaders of the Politics & Students’ Affairs Office, Representatives of other departments, and students who received scholarships. 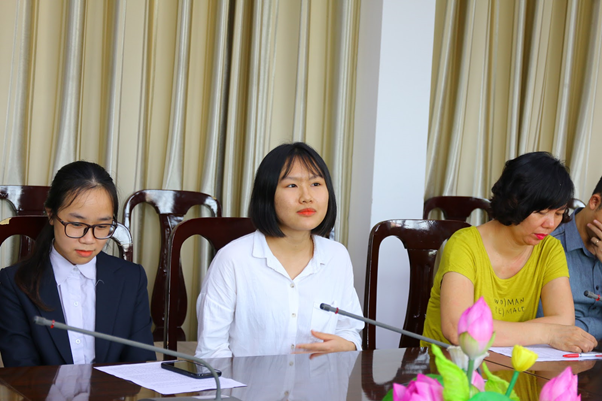 At the ceremony, teachers and students exchanged a lot of issues and stories related to studies, difficulties and so forth. 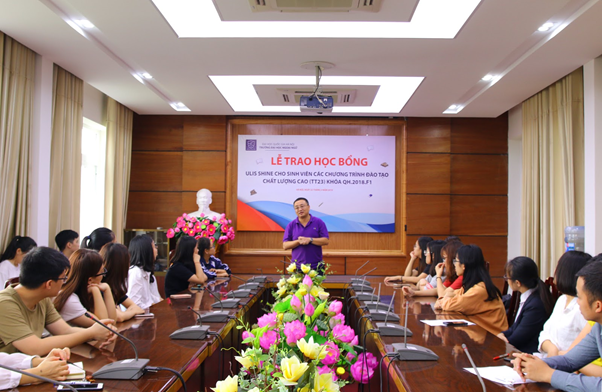 All the students appreciated the enthusiasm, friendliness and willingness to share of lecturers of the fast-track programs. 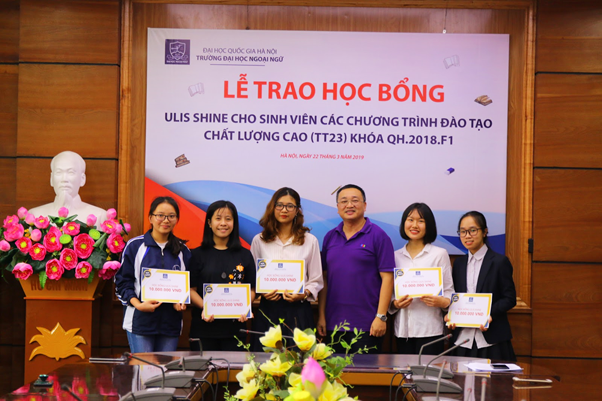 Besides, the teachers also shared their opinions about the programs, the training activities and their expectations of a clear change in students of the fast-track programs. 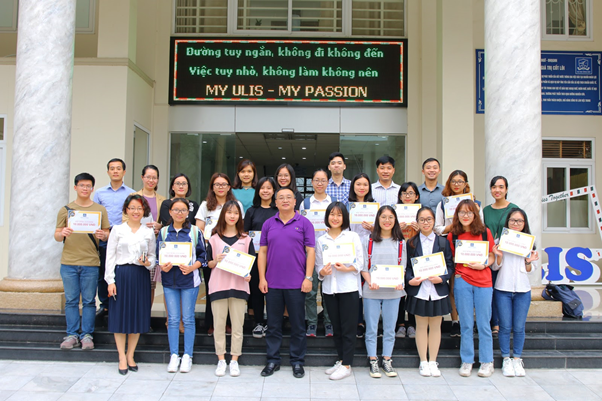 Delivering his speech at the ceremony, President Do Tuan Minh was pleased to see that through the exchanges, all the students had proved that they were now more mature and confident. 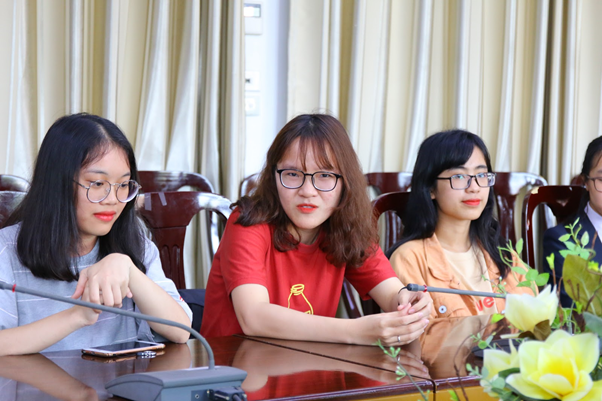 President Do Tuan Minh also affirmed that the University would continue to improve and update the curriculum to provide students with a truly meaningful and valuable experience while they are at ULIS. After that, the President awarded the ULIS Shine scholarship to 15 students. 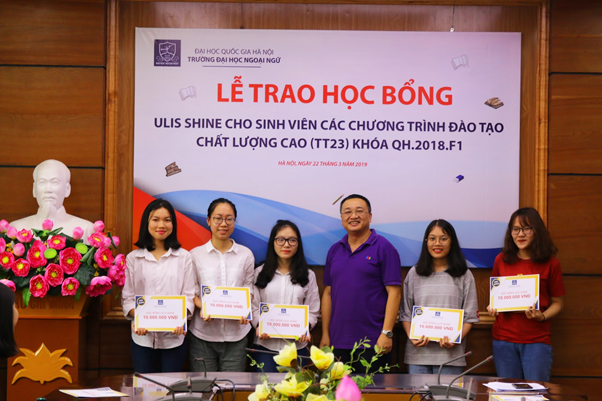 From the 2019-2020 academic year, 1 out of 9 students of the fast-track programs will receive such a scholarship.